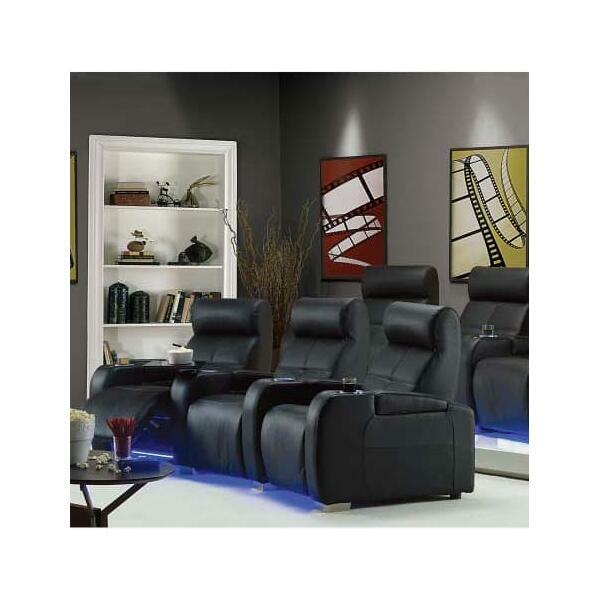 Produced by Palliser to mimic the sleek contours and air-tunnel designs of Indy race cars, the Indianapolis Theater Seats will enhance any home theater with their auto-influenced looks. 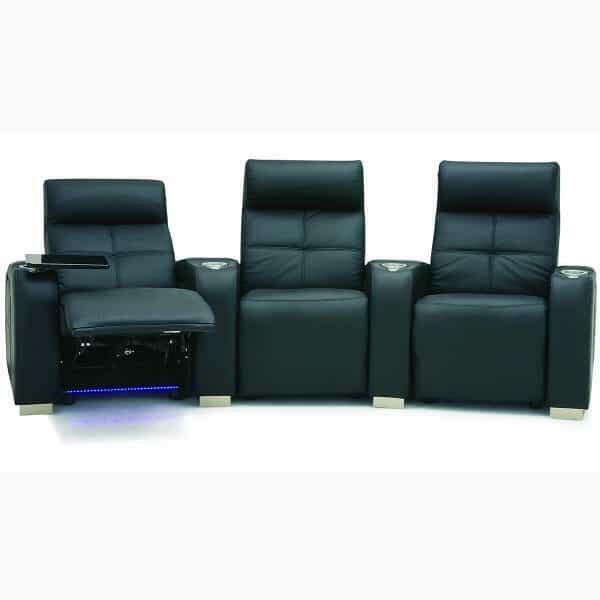 While the efficient design is striking, easily enhanced with multiple upgrades such as the LED ground lighting, it's the comfy seating experience featuring some of the very best foam fiber cushions and back suspension systems available on the market that will entrap and relax all family members and guests. 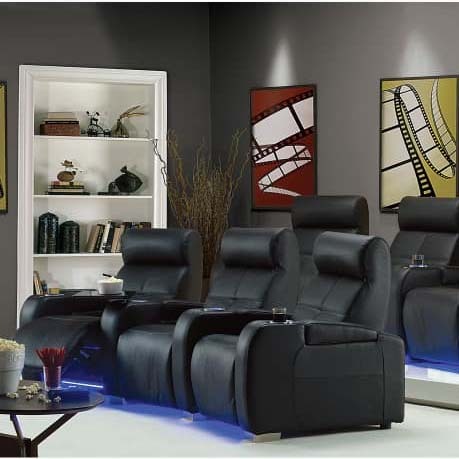 Imagine viewing the next blockbuster or Steve McQueen classic in the privacy of your basement surrounded by your favorite friends as they sit back in unparalleled comfort; make this vision a reality with the help of Palliser Theater Seats and Family Leisure! 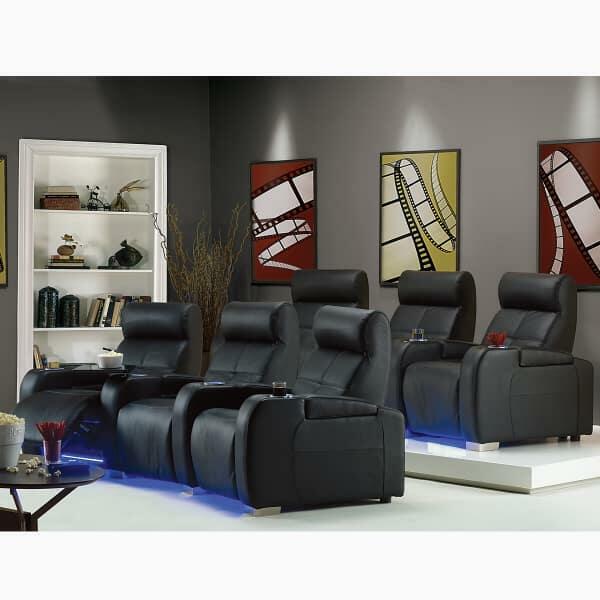 With so many options, upgrades and seating arrangements (see drop down menu to the right of the main image and the listed options below) it's best to give us a call to review everything!